Looking for a mechanic that knows you VW inside out? GDL Automotive Services are your Northern Beaches VW specialist. Contact us here to have your Tiguan or VW serviced and maintained. Traditionally things made by ‘Zie Germans” gain a huge amount of credibility from those operating in the white collar world. After all they are responsible for many great technological advancements of the past few decades. However most of the stuff coming from VW is fairly average. Having said that the Tiguan seems to be an exception to the rule. 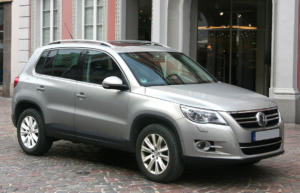 The Tiguan was first released in 2007 and has gone through several “facelifts” in the following years. Engine variations range from 1.4 and a 2.0Lt available in both petrol and diesel engines. These cars are beautiful vehicles to drive, boasting many features and creature comforts their competitors do not have. Very little has presented itself in the common faults for these vehicles aside from the usual issues surrounding European manufacturers and their plastic calling system components. As time passes these plastic components are less resilient than the alloy components used on Japanese and Korean cars. This issue is looked at in depth in this article here. The VW range of vehicles including the Tiguan had a huge amount of issues with the DSG transmission when it was first introduced. Back in the early 2000s there was a class action in the US for their DSG issue. Local dealerships in Sydney were coming good on these repairs under warranty and to date it appears that the newer models are not displaying this same fault. Overall the Tiguan is a vehicle that we would advise buying if you are in the market for a SUV with a luxury feel to them. Some common things to watch out for if buying a second hand one or worth taking into account when looking to buy one. These cars are expensive to maintain. Like all European SUVs they go through brakes quicker than the Japanese or Korean counterparts, the brakes are expensive to replace and always require disc rotors to be replaced with pads. The models running a timing belt require specialty tools to carry out the timing belt replacement. Most workshops will own these tools but are justified in charging additional fees to cover the cost of needing them. They are known to chew through tyres quickly, more so if your not checking the pressures often and regularly belting the kerbs. As these vehicles get older they are known for cooling system problems too. Red coolant is known to leak out of orifices made by the coolant eroding the plastic cooling system fittings. We have not seen to much in the way of suspension faults with these vehicles outside what we would consider to be normal wear and tear. Again, driving it like you stole it and launching it off speed bumps has been known to cause the front shocks to leak and we have replaced a lot of lower control arm bushes on ones that have both been jumped and the ones that have not. All Models are known for wearing out the driver side engine mount which can give a vibration through the body of the car. Normally this is not noticed by the owner until it is replaced as they have gotten used to it as the mount gradually collapses over time. In conclusion the Tiguan is impressive vehicle and good value for money. They are expensive to maintain but so are all European vehicles. if your budget allows it, there is no reason to avoid a Tiguan. Stop cutting corners on your brakes! Trailer wheel bearings: They will kill you!